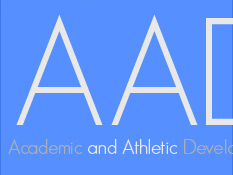 Signing up for an AAD web account will allow you to register your child for Academic and Athletic Development programs provided at Donnan and Vimy Ridge schools. If you are a two household family a secondary account can be requested once the primary account has been set up. This will allow viewing of calendar as well as payment options to be shared. Please enter your account information and agree to the AAD General Policy to complete the signup process.